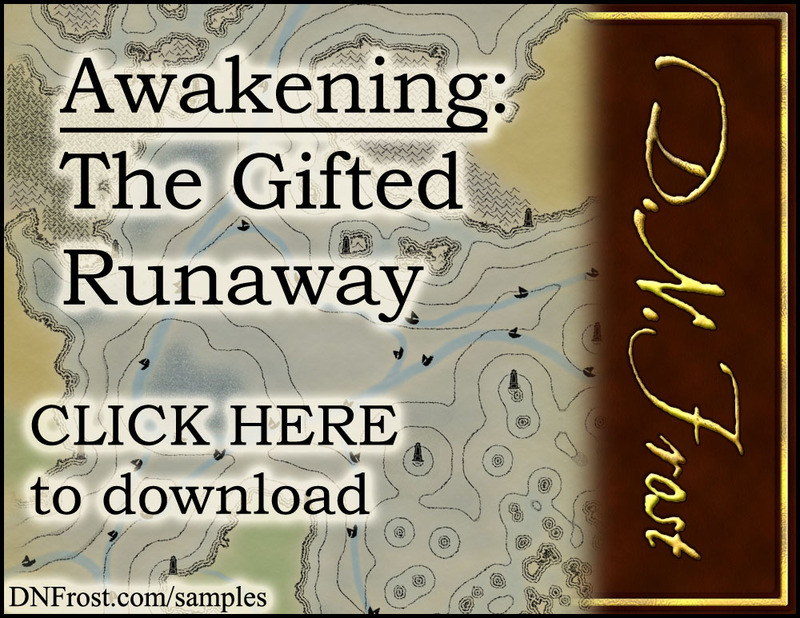 The Gifted Runaway: Larin's Story is a 9,800-word excerpt from Awakening, Book One of the Tales of the Known World saga. 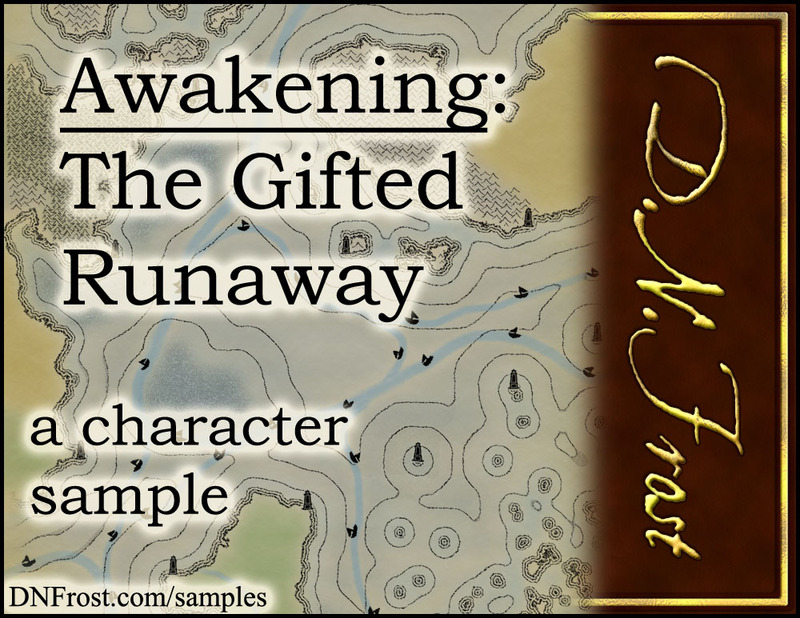 Download this free character sample here. Though the words meant nothing to her, the crowd’s surge of intensity spoke volumes. Calls burst forth from every direction, and a tall man loitering back from the rabble flicked two fingers in the air to join the bid. Polished silver capped the sharp points of his backswept ears, and his pale yellow horsetail shone white in the overcast glare of midmorning. 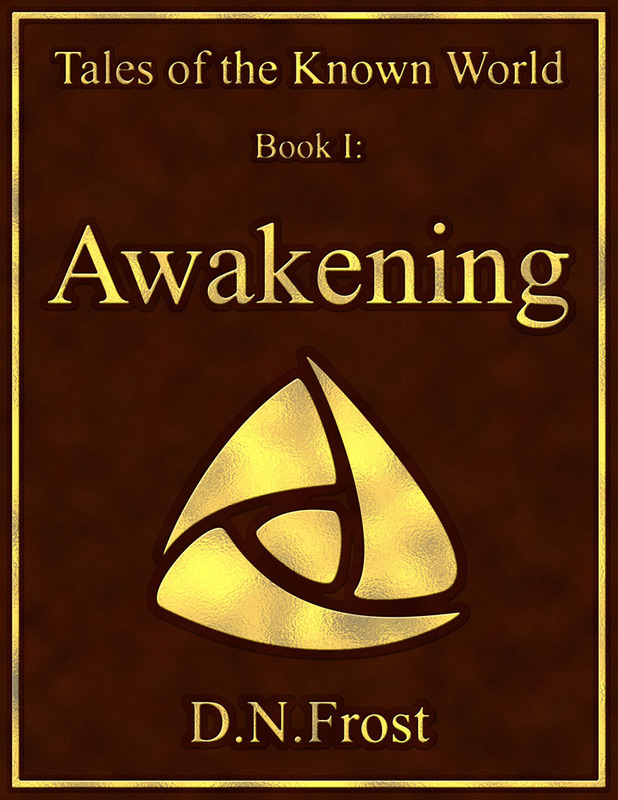 Head and shoulders above the dark-haired crowd, he made a fist to bid again, his handsome features contorting into a crazed smirk when he noticed Larin’s scrutiny. Startled, she snapped her gaze up to the sharp ridges over the town, but the elf’s manic grin lingered in her mind’s eye. Sweet Mother, she prayed, don’t let him buy me! Read more of Larin's story. Download the full character sample here.